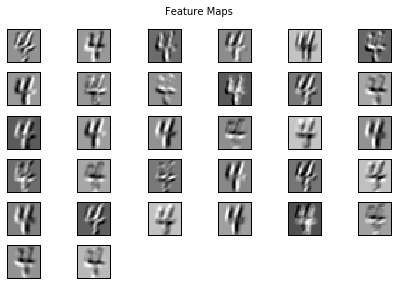 Following my overview of Convolutional Neural Networks (CNN) in a previous post, now lets build a CNN model to 1) classify images of handwritten digits, and 2) see what is learned by this type of model. Handwritten digit recognition is the ‘Hello World’ example of the CNN world. I’ll be using the MNIST database of handwritten digits, which you can find here. The MNIST database contains grey scale images of size 28×28 (pixels), each containing a handwritten number from 0-9 (inclusive). The goal: given a single image, how do we build a model that can accurately recognize the number that is shown? Let’s take a moment to consider how this model might work. The numbers from 0-9 look different and have different features: some contain only straight edges (e.g. 4) , some contain rounded edges (e.g. 5), and others have enclosed spaces (e.g. 8). 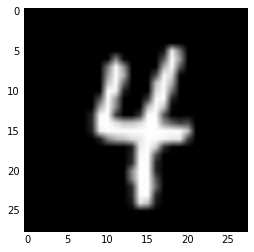 A CNN is an ideal model for this problem because it can learn these different feature types and detect their presence/location in an image. We don’t need to be explicit about what features are important (often times we don’t know what features are important) – these so-called kernels will be learned by our model. # We first define a download function, supporting both Python 2 and 3. # We then define functions for loading MNIST images and labels. # For convenience, they also download the requested files if needed. # Read the inputs in Yann LeCun's binary format. # The inputs come as bytes, we convert them to float32 in range [0,1]. # Read the labels in Yann LeCun's binary format. # The labels are vectors of integers now, that's exactly what we want. # We can now download and read the training and test set images and labels. # We reserve the last 10000 training examples for validation. # We just return all the arrays in order, as expected in main(). The first thing we need to do is define the architecture of the network. We can do that using Lasagne layers. 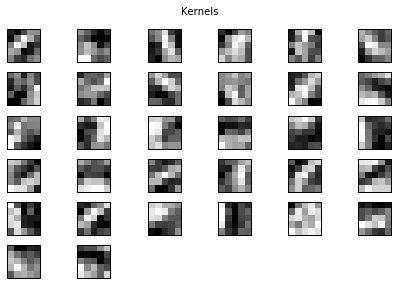 Convolution layer with 32 5×5 kernels followed by ReLU activation. It is common to use a rectifier as the activation function instead of the traditional sigmoid to avoid saturation of neurons. # We could add some weight decay as well here, see lasagne.regularization. With only 5 epochs (about 2 minutes of training on a GPU) we get a test set classification accuracy of 98.85%. If we train over 50 epochs we can achieve classification accuracy of 99.6%. CNNs are extraordinarily good at learning data that has clear spatial structure, even when we only use 2 convolution layers. We can create Deep CNNs by adding more layers, which increases the representational power of the network. In summary, CNNs can learn the visual structure of images and learn to identify the features that distinguish one number from another. This idea can be extended to colour images pretty easily (for example with the CIFAR-10 dataset), or even non-image-based inputs as long as there’s some spatial structure inherent in the input. As always, the full code for this example can be found in my GitHub repo here. How can i test it for imag given by me? ?